5 Reasons You'll Love Wild Adventure Weekend! You have reached our 2014 Christmas gift ideas for couples blog however don't worry we have loads of great gift ideas for 2015! Head over to our Christmas Gift Ideas for Couples 2015 blog for some fantastic gift ideas for couples. Enjoy some quality time together in the great outdoors, exploring some of the 27.5km of green, blue and red grade MTB trails. Finishing the off in a kayak with a more relaxing paddle on Castlewellan lake. Speed across the water on a high speed boat taking in the spectacular scenery of the North Coast. 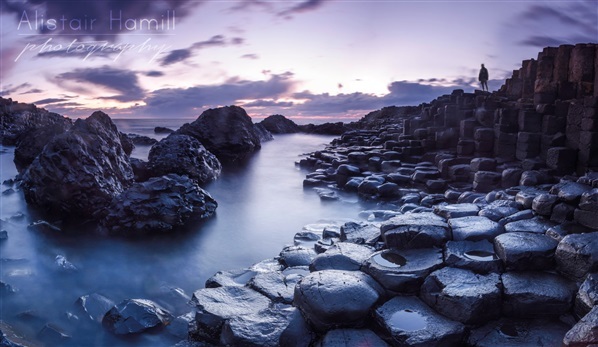 Take in the glorious sights of Ramore Head, the Skerries, Dunluce Castle and Island Doo and witness the stunning sandy beaches of Portrush from the sea as you zoom across the water onboard the high speed boat. Learn the basics of Stand Up Paddle Boarding together before taking a tour along the remote parts of the idyllic River Roe. Find out who really is the better driver as you take it in turns behind the wheel. The experience also includes a 500m Zip line and a heart racing white knuckle hill rally ride. Give a minibreak with a difference this year. Set in the heart of the spectacular Castle Ward Estate, enjoy a one night stay in the quirky heated camping pods, bike hire and a choice of an activity to do together from either archery or canoeing. Add an additional twist with the Game of Thrones Glamping Mini Break ideal for those who are fans of the show. Bed down for a night deep in the forests of ‘Winterfell’ before exploring the sprawling Demesne and its many filming location hotspots. Suitable for all abilities from beginners to enthusiasts this is the perfect getaway for any couple. Take a guided kayaking trip along the stunning Strangford Lough stopping to visit the oyster farm and Ballydorn Lighthouse Ship. Explore the off-road course on a segway negotiating obstacles and speeding along the straights. This is a fantastic way to get out in the outdoors and spend some time together doing something totally unique, action packed and fun! Arrange a romantic trip out on the lower Lower Lough Erne. In your own boat explore the idyllic uncrowded waterways, fishing spots and numerous places of interest along the way. Visit an ancient monastic site or sit back, relax and enjoy the splendid scenery. Fancy the idea of camping…without the tent? Now you can give a mini break with a difference in one of Carrowmena's eco friendly 'Camping Cocoon'. ‘Glamping' or glamorous camping combines camping with some of the amenities of a home/hotel. Situated in the Binevenagh Area of Outstanding Natural Beauty, with picnic tables for that al fresco dining experience this is a great way to enjoy the outdoors in style. Spoil them with this unusual weekend treat! Skip the hussle and bussle of breakfast and explore the stunning Strangford Lough on a high speed boat before enjoying brunch on one of the hidden islands. Check out OutdoorNI.com for even more fantastic gift voucher experiences for couples. Jayne joined the marketing team of Outdoor Recreation NI in March 2014. She oversees the marketing and communication on WalkNI, OutdoorNI and Walking in Your Community Project. Most recently she has been working with Parkrun Ireland & UK to introduce the 'Walk @ parkrun' initiative. Share on: Twitter Facebook Digg StumbleUpon Reddit Delicious What's this? 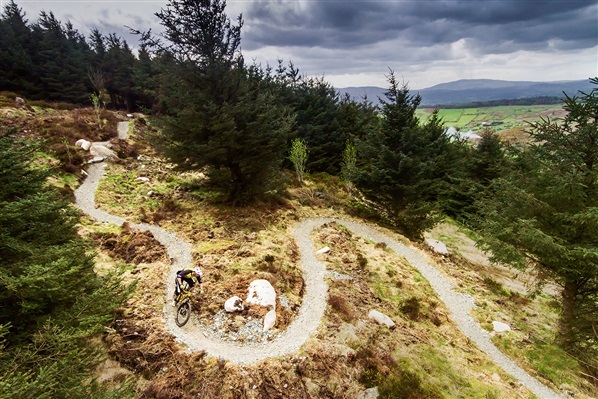 Donegal man Dermott Sweeney is a staple ingredient of the Irish DH circuit these days and has built up a renowned reputation as arguably one of Ireland’s best mountain bike photographers. Dermott’s photos not only capture the true intensity of racing but also expose the commitment and determination of Ireland’s best riders. Of course jaw-dropping photos like these don’t just happen, rather it’s down to Dermott’s own commitment and determination which has allowed us mere mortals to sit back and gaze in awe of his incredible images from this year’s racing calendar. As the weather closes in and everyone knows photographers batten down their hatches for winter (don't they?) 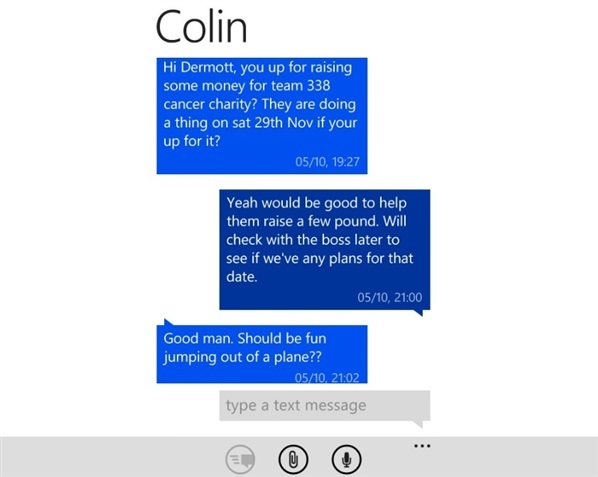 we thought we’d catch up with Dermott to find out a bit more about the man behind the lens! 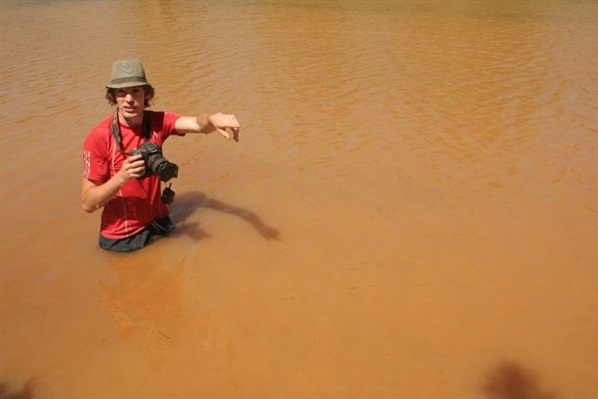 It seems like you've been specialising in MTB photography for years now but how did it all start? It all started through work back in 2010. A good friend and colleague shared two passions with me, mountain bikes and photography. So inevitably we ended up combining them. Neither of us were much use on a bike so the photos weren’t that impressive but I became pretty hooked on the possibilities MTB photography posed. In the winter of that year a chance encounter with the lads from Biking Dirty at the Winter DH Series in Bigwood revealed that my photos were pretty decent and this spurred me on. I will always remember how dark that day was, the flash units were pretty much an essential piece of kit. Can you tell us a little bit about the kit you use and why you like it? The last few years the kit had been pretty much set in stone. A race weekend or a promo shoot was a Canon 7D, 3 lenses to cover 10mm to 200mm, 2 flash units, remote triggers, tripod, GorillaPod, spare batteries, cards and graduated filters should the sun decide to appear. However forests’ being as dark as they are has meant a fairly recent upgrade to the full frame 5D MkIII. Its low light capabilities are quite amazing. If I was gifted some nice natural light, I’d happily shoot away with just it and the 24-105mm lens. Granted I’d probably miss the flashes and the possibilities they pose with regards to slow shutter speeds and lighting up the intense eyes of a committed rider. 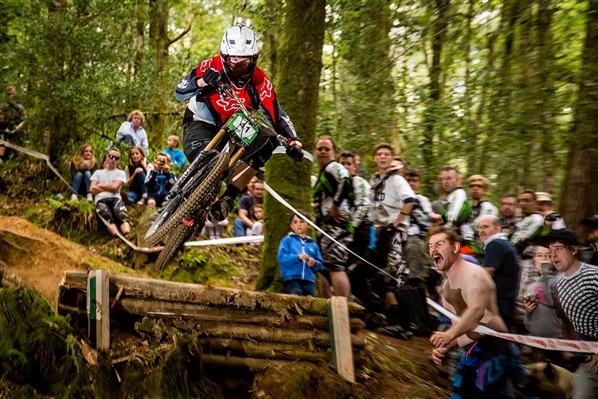 What’s your top tip for capturing that perfect MTB shot? Top tip…just one? As obvious at it may seem it’s as simple as plan it. You should know pretty much what you’re going to shoot before you take it. Planning is everything from scouting a location for the best time of day for light to choosing your shutter speed and composing the shot. Alternatively you can just ride your luck to be in the right place and improvise. We’ve heard Rosco’s making you jump out of a plane, how did he rope you into that one? 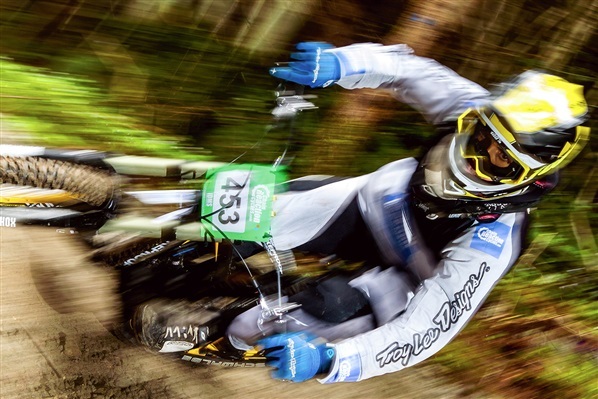 What advice would you give to any aspiring MTB photographers looking to start out? Know your camera and learn how to use the different shooting modes (Shutter Priority, Aperture Priority, Manual). You need to be able to control the shutter speed and aperture to take artistic control over the sense of speed and the depth of field in your photos. Develop your own style that separates you from everyone else. Watermark your images so you get the credit you deserve and don’t be afraid to charge otherwise you could end up a busy fool who’s stuck behind a monitor while everyone else is out shredding. Inspired? Check out Dermott Sweeney Photography for more incredible images from Dermott’s portfolio! 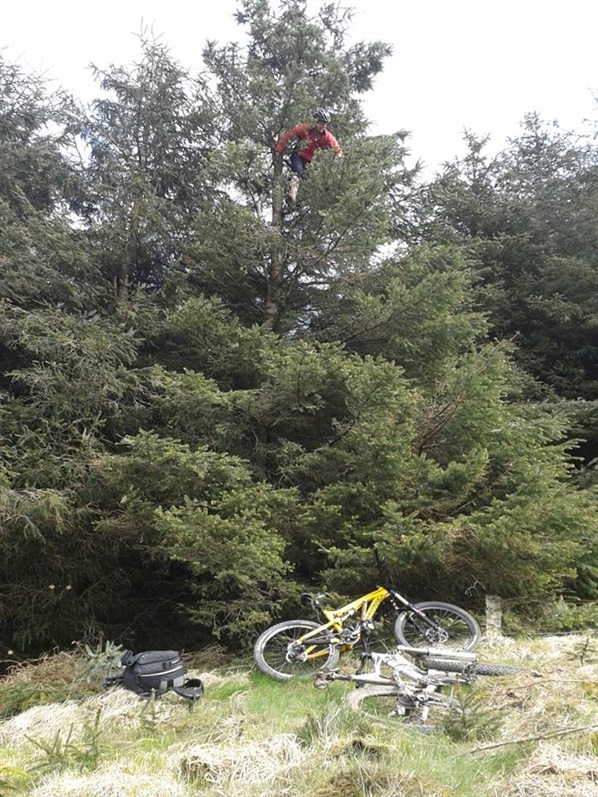 Chris looks after all things mountain biking in Northern Ireland ...it's a tough job but someone's gotta do it! You have reached our 2014 Christmas gift ideas for men blog however don't worry we have loads of great gift ideas for 2015! Head over to our Christmas Gift Ideas for Men 2015 blog for some fantastic ideas for your dad, husband, boyfriend or brother this Christmas. With over 70 gift experiences for men available to buy from clay pigeon shooting and off- road driving to hovercrafting you won’t have any problems finding something exciting and memorable to give him this Christmas. 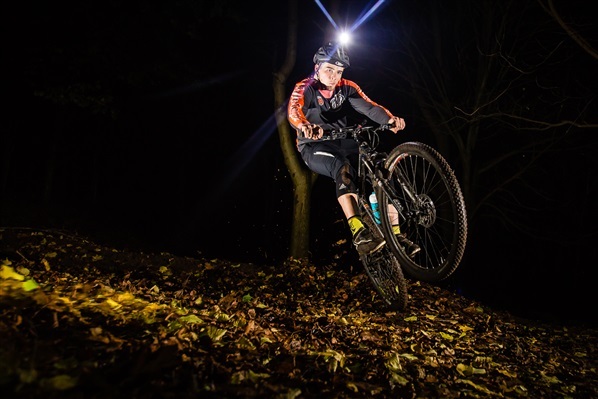 Get ready to race along off-road tracks on two wheels! The ideal experience for those looking for some high speed fun as he navigates obstacles and learns how to successfully keep his balance on the downhill descents! Get up close and personal with wild-life through the camera lens. Take a gentle hike with an expert through remote countryside in search of locations and wild-life sure to produce the most intriguing shots. Whether he is a complete beginner or a seasoned professional this activity will have him blasting clays out of the skies in no time. This experience will include all equipment and expert instruction before stepping up to have a go for himself. A high speed boat tour around the spectacular Strangford Lough taking in sights including; Clough Rocks Nature Reserve, Whirlpools and more! Experience the thrill of blasting over land and water at speed on a hovercraft, before racing around the track in his very own high speed powerturn buggy. Whether they are a complete beginner or a seasoned pro at catching a wave a surf lesson with one of Northern Ireland's top surf schools is a guaranteed great day out. Receive expert tuition to learn the basics or improve skills and build confidence out on the water. Enjoy a fantastic boat tour around the spectacular North Coast and Rathlin Island. Experience the North Coast from a whole new perspective as he takes in the sights of Rathlin Island from the sea as well as the Giant’s Causeway, the Skerries, the historic Dunluce Castle and much more! Whether he wants to enjoy a full day or half day's sailing along the picturesque North Coast aboard a 24' yacht or learn the ropes with some hands on experience, he is sure to have a fantastic time. Departing from either Ballycastle Marina or Rathlin Island he may even decide to bring you as this voucher is for up to three people so he can bring family and friends along. Conquer muddy climbs, drops and hazards along the 8 mile course before being taken back across a stage of the course at rally competition speed! Combine two activities to make for a great day out. Hit the trails on a mountain bike and explore some of the 27.5km of green, blue and red grade trails before heading out in a kayak or canoe for a relaxing paddle on the lake. Make sure you check out our Christmas Gift voucher section for even more fantastic Christmas gift ideas for him. Picture the scene. You’ve come home after work. The kids greet you with howls of “What’s for dinner – I’m starvin’! !” You amble over to the fridge to see what you can rustle up to quieten their relentless cries, only to discover that when you get there, the cupboard is (almost) bare! On occasions like this, I’m very likely to reach for the phone and put in an order for the chippy. But my wife is made of more resilient stuff. And she happens to be a fabulous cook who has this amazing ability to rustle up delightful meals, without the need for any recipe. To my amazement and before my very eyes, she pulls out the very same meagre ingredients I was just surveying and, fifteen minutes later, we’re all sitting down to an wonderful dinner. It’s incredible how two people can look at the same thing – and yet see it entirely differently! One person sees the food and knows there must be a meal in there somewhere – the other has the vision to see potential and has the ability to create something from this potential. At its heart, this is similar to the essence of landscape photography. To be able to view the landscape in such a way as you begin to see what is hidden there in plain sight. It’s about selecting what elements will work together. And it’s the capacity to arrange and frame those elements pleasingly. But how do you begin to see a landscape bristling with potential like this? The good news is that there are ‘rules’ or - perhaps better - guidelines that can help train your eye to see the landscape, rather than just look at it. And I’m going to share some of these with you below! The first photographic rule you will learn in any class or book is the rule of thirds. This rule breaks the composition of a photo up into thirds both horizontally and vertically. This means you have two horizontal lines and two vertical lines to help you compose your elements, so perhaps you would have the horizon running approximately along the upper line. In addition, it gives you four intersection points for you to place features (such as a rock outcrop or the setting sun). It seems that people tend to be drawn to these places when looking at images, and placing your points of interest here is more aesthetically pleasing. Sunrise over Donard with the ‘Rule of Thirds’ grid superimposed. Look how use is made of the lower horizontal line and the top right intersection. Not all lines in your photos need be horizontal, however. Diagonal lines can work very well to guide people into the shot. You could also use sweeping curved lines formed by features such as paths or rivers to guide the eye. People often start looking at the bottom of an image, so look for ways of guiding them in from there to the rest of your photo. The blue hour following sunset at the Giant’s Causeway. Which lines does your eye follow in this picture? When you’re standing in a landscape, the sheer scale of the environment can draw your eyes upwards and outwards. But landscape photography is about depth and perspective, and using elements in the foreground as well and the mid-ground and background can help add interest to your photos and again help draw people into the shot, leading them further into the depth and planes of the view you’re capturing. It might be a rock outcrop, a flowering plant, a stream. Look for these and see if you can find pleasing ways of building them into your composition. 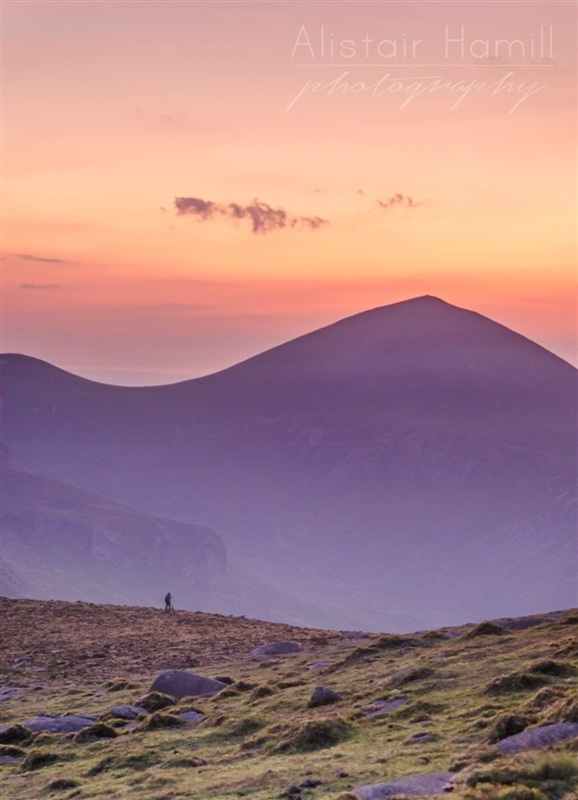 When you stand in the middle of a mountain range like the Mournes, part of the experience is how you seem to become immersed in the landscape. All around you, in every direction, peaks stretch upwards and valleys sweep majestically between them. Your phone will probably have a panoramic function. Use it to capture something of the horizontal sweep. But when doing so, remember the rules of composition. You will have to try to visualise the final shot, more than what can appear in the view finder at once. Think about your rule of thirds, your foreground interest, your leading lines. But the great thing about your phone is that you’ll get immediate feedback – how does the composition work when you’re finished? If things don’t quite line up properly, try it again! A panoramic from the summit of Doan. Although I stitched this together in Photoshop, your phone will probably allow you to create a vista like this too. At other times, maybe it’s the vertical scale you want to emphasise. For example, it might be the mountains soaring upwards breaking the line of the horizon that you want to capture. In that case, turn your camera around through 90 degrees and shoot in what’s called portrait mode. Even in less grand landscapes, portrait mode can help you look for ways of building depth into your compositions. Look for something in the foreground that can capture the eye. Look for lines that can lead you in, or bands that can emphasise different planes of depth in the landscape. When you’re standing in a landscape, the scale is obvious to you. 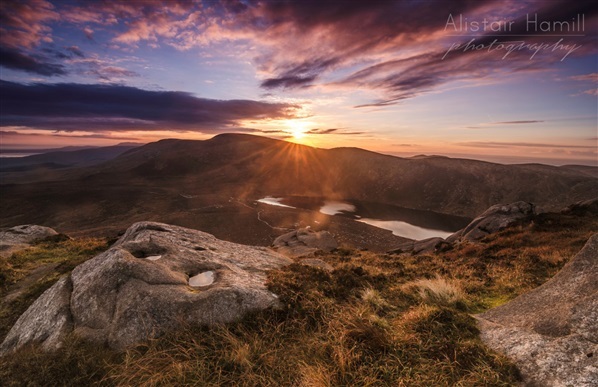 If you’ve just climbed a mountain in the Mournes, you know exactly how high up you are! Sometimes, though, capturing that sense of scale in a photo can be challenging. One great way to do this is to include people in your landscapes. They can be close by or further into the distance, but placing them there can… One thing, though – it’s still a landscape shot, not a portrait. It’s often best to have the person standing with their back to you, facing the view. Or at least looking into the view, inviting the observer to join them in exploring the amazing landscape in front of them. The last tip I’ll give here is simply to slow down when taking photos. You will have to pause and look carefully at the landscape, to see what’s actually there in front of you. Notice the elements before you. Think about the best location for you to stand in to arrange them well. Perhaps a few steps to the side will place that foreground element in the sweet spot compositionally. Experiment with a shot and check it out afterwards. Recompose, tweak, try again. As you do, you’ll begin the process of training your eye to see and not just to look. You may still have to phone the chippy when your fridge is nearly empty, but with time and practice, you’ll be able to see the compositional potential right in front of you in the landscape you enjoy walking through. Step into Winterfell at Castle Ward or sail past the Iron Island's in the North Coast. Whether you are planning on exploring the Game of Thrones film locations in Northern Ireland for yourself or looking to give the perfect experience gift voucher to a loved one, OutdoorNI.com has it covered as we list some of our top suggestions of the best outdoor activities to bring the epic fantasy of Game of Thrones to life. 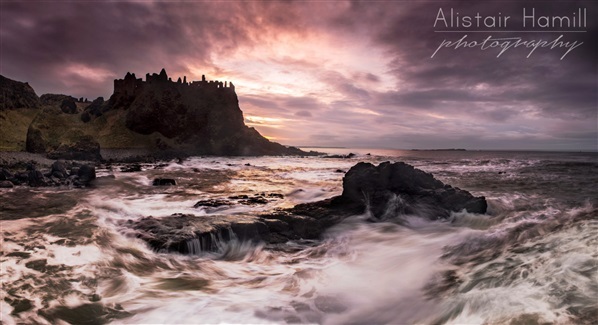 Head north and take a high speed voyage of discovery as you experience the sights of some of the most iconic Game of Thrones film locations from the sea with Aquaholics on their Causeway Coast Sea Safari. Departing from Portstewart harbour visit key locations including: Cushendun Caves (The Stormlands), Ballyintoy Harbour (Phyke, The Iron Islands), Carrick-a-Rede (The Stormlands, Larrybane), Downhill Beach (Drgonstone) and Murlough Bay (Storm’s End). Get into character and transport yourself back into the world of Westeros with Clearsky Adventure Centre based in Castle Ward, Co. Down. Begin your day with the Game of Thrones Archery Experience, where you will be kitted out in Stark Family Costumes and prepare yourself to enter Winterfell for the first time and experience the feeling of being on your very own movie set. It is here you will receive instruction from your archery instructor as you shoot medieval arrows with ancient bows. After your archery lesson hire a bike (or bring your own) and take some time out exploring the grounds. The self-guided Game of Thrones Cycle Tour takes you to where many pivotal Game of Throne’s scenes took place, including ‘Winterfell’, ‘King Roberts Arrival’, ‘The Twins’, ‘Robb’s Camp’ and the ‘Lannister Camp’ to name but a few. To ensure you have great fun out in the wilds of Westeros you will be given a Game of Thrones ‘Stark Sack’. Enclosed you will find a ‘Medieval Scroll’ of the Filming Locations map (you can keep this as a memento!) plus some supporting images and text from each filming location, Game of Thrones Stark Family Costume Capes and Game of Thrones Stark Family ‘LARP swords’. For the ultimate Game of Thrones outdoor adventure see the sights from the sea during your own private Castles of Westeros Boat Tour. The tour is a must for all Game of Thrones fans as you are sure to enjoy stunning views from the water of the various Westeros Castles, cross the mouth of Strangford Lough Aka ‘The Narrow Sea’ and other shoreline locations used by HBO in the filming of the show. Featured in the first episode of Season 1 you might remember this haunting forest from the scene in which a member of the Night’s Watch rides through the snowy forest and stumbles upon Wildling bodies. This romantic and yet haunting forest is home to trees, woodlands, streams grottos and caves as well as offering panoramic views of the sea at nearby Newcastle. With its far reaching views, stunning landscapes and authentic medieval buildings you don’t have to travel far in Northern Ireland to see why HBO film location scouts chose Northern Ireland as the perfect place to film Game of Thrones.